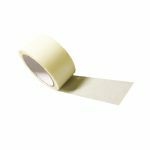 This range of coloured tape is made from strong polypropylene, an affordable but highly effective alternative to vinyl packing tape material. It is a superb packaging tape, easy to apply and durable, and comes in 8 bright colours: orange, black, yellow, blue, green, white, pink and red tape. Using differently coloured adhesive tape is a quick and easy way to colour-code parcels and moving boxes for identification purposes and can add a stylish finish to shipping boxes. It is also great for artwork projects in the workplace, school or home. 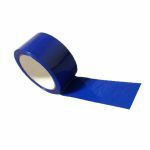 Polypropylene tape is tough, performs well at low temperatures and has high resistance to impact. We offer a wide selection of polyprop coloured adhesive tape, with 8 vivid colours to choose from: red, pink, orange, yellow, blue, green, white and black. 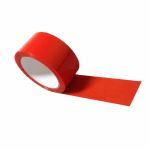 Specific applications for coloured tape in offices, schools and warehouses include using green adhesive tape or blue tape to indicate safety apparatus while red tape can signal potential danger such as electrical equipment. Differently coloured tapes are also useful for marking the location of the various types of fire extinguisher: red adhesive tape for water; white tape for foam, blue tape for dry powder, black adhesive tape for CO2 and yellow tape for wet chemical. This range is 48mm wide and supplied in economical packs of six long-lasting 66m rolls. 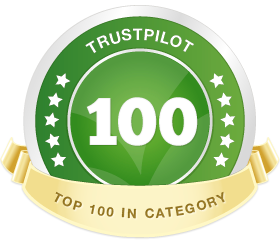 For convenience and speed, the tapes can be used with any of our tape dispensers, particularly helpful when dispensed in a high-volume packaging setting as identification or packing tapes. Coloured tape is a really versatile packaging tape with many different applications. 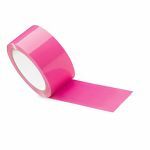 You can use it to identify boxes for shipping, house moves or storage; apply it as a sealing tape in corporate colours; or use it for tape crafts and artwork projects.